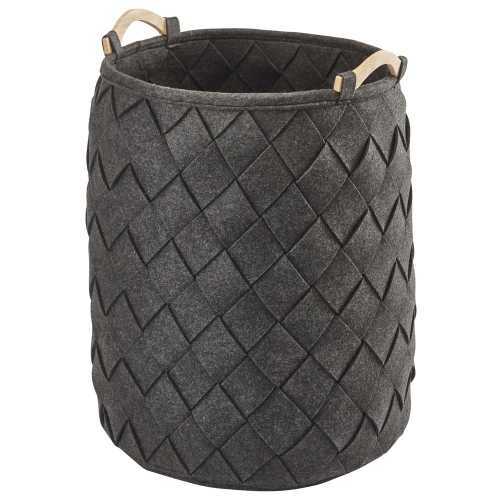 Aquanova is a family Belgian business focusing on a variety of household items that are made with high-quality materials and innovative product concepts, one of these pieces is the Amy Laundry Basket. 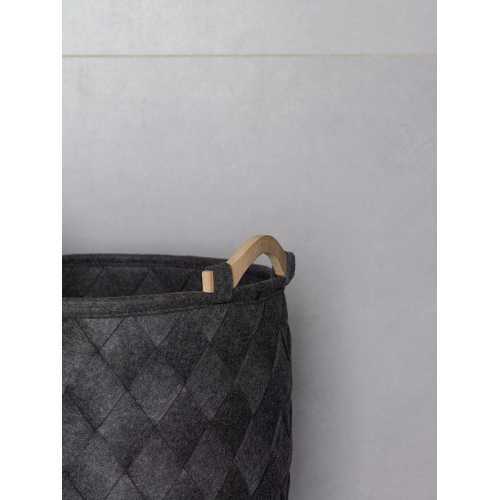 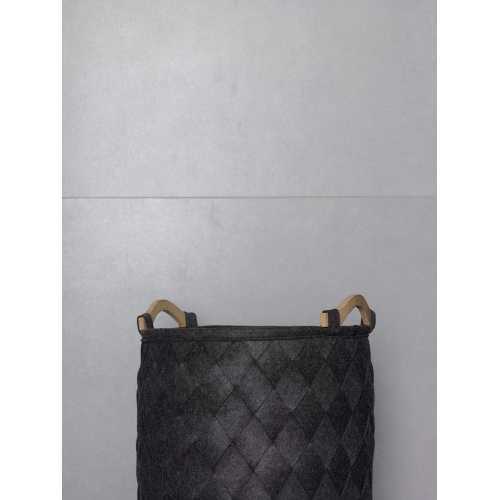 This practical and stylish basket is made from 100% polyester strips that create a jacquard pattern that then forms a basket shape, with the addition to stylish modern fir wood handles for moving your laundry with ease. The Amy Laundry Basket is available in two different neutral colours including a stylish silver grey and dark grey, these two tones of grey are made to suit all modern bathrooms. 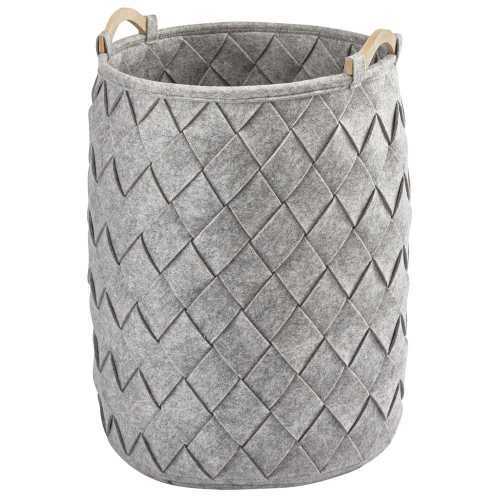 Measuring a 60cm height and 40cm diameter with a 75-litre volume, the size of this laundry basket is adaptable and will easily fit in spaces in many design schemes. Don’t forget to browse Aquanova’s large range of bathroom products and household items, such as the Ona 3L Waste Bin, Arona Storage Basket and more.To find out more about the products in this Aquanova collection and other products in their range, please visit the Aquanova brand page.